I got on a roll and basted several quilts the other day. When the weather is warm and the winds are calm, I set up my craft tables outside to spray baste them. It's so much easier than setting up my living room and covering every thing to protect it from the over spray. 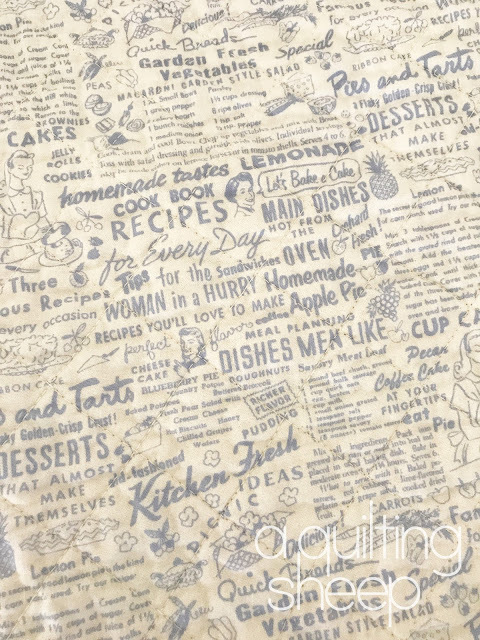 Basting is the worst part of the quilting process, but it must be done and that's that. 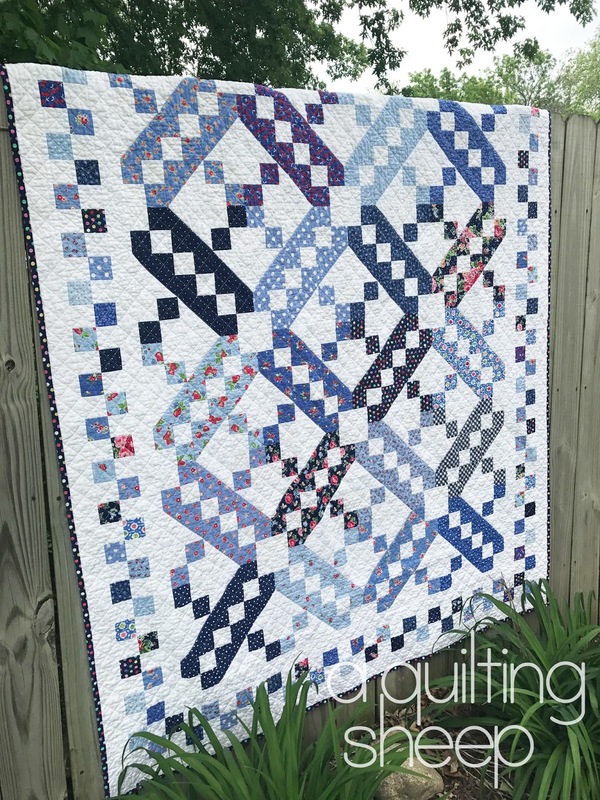 In early March I made this blue and white Jacob's Ladder quilt top using Pam Kitty fabrics. The quilting is a simple cross hatch. The back is also a Pam Kitty fabric I was hoarding. It feels good to get it out of the stash pile and into a quilt, which is why I bought it in the first place, right? All those blues and whites are great. Nice quilt finish. The largest quilts I machine quilt are twin size, so, my dining room table, with a cover over it, works well for most spray basting. I'm really careful when I spray baste. That's a very pretty quilt; it has a calming effect on me. I love the backing fabric too; haven't seen that before. ---"Love"
Very lovely. I'm not overly keen on basting either but hubby helps and we set tables up in our hall so I try and have a couple at least to baste at the same time. Backing fabric is divine. So gorgeous - love the Jacob's Ladder pattern! Beautiful backing and wish I would have ordered a few yards of it too :)! LOVE it!! Blue and white are always good together. Very nice, and I love that backing too!! Great quilt and the backing is great. If you use up stash don't you get double points? I agree, basting is the worst - although I don't use the spray, it never works for me! I love this quilt, and the previous two you showed. You are amazing, girl! ..... I need to finish some stuff. Oh what a wonderful quilt- love ❤️ it. beautiful as always! What is the spray basting for? Very nice! What a cute backing. What a lovely quilt. I love Pam Kitty fabrics but have not had the opportunity to make anything with it. Great backing too!